Rākau Tautoko is a small Auckland-based social enterprise undertaking community-related projects, community research and development advice, facilitation and leadership. Rākau Tautoko is a network of skilled, creative and like-minded practitioners who enjoy working together and take pride in doing high quality community work. Rākau Tautoko creates supportive opportunities for community practitioners to develop their knowledge and skills, apply their philosophy and exercise appropriate accountabilities. Rākau 1. (noun) tree, stick, timber, wood, plant. …through the concept of support, acceptance and advocacy. Tautoko 1. (verb) to support, prop up, verify, advocate, accept, agree. Growing slowly, branching out with different projects enables us to reach our goal of strengthening community members to be the best tuakana they can be. Rākau Tautoko takes time to develop a strong foundation of knowledge, experience and application in communities. To help Rākau Tautoko guide our work, we have a constitution that aligns our practice to charitable purposes. For more information, check out our About section. 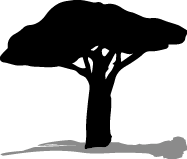 Rākau Tautoko refers to the branches of a tree reaching out, growing and gaining strength. Innately connected to each other and firmly grounded in good practice and accountability. Rākau Tautoko is a collective of skilled and creative practitioners that work well individually and together. The collective creates opportunities to share experiences, empower and motivate each other for high quality practise. There is no limit to how and which direction our branches will grow – as long as they support the development of tuakana within communities. We are limited only by our imagination. A key focus for the practitioners of Rākau Tautoko is to maintain high quality community work and appropriate accountability. Because of this, Rākau Tautoko require all of our consultants to reflect on their practice regularly, and seek supervision if and when possible. such other charitable purposes as the Board may decide. In addition, our constitution states that all the assets and profits of Rākau Tautoko are for the benefit of charitable purposes in New Zealand. This allows our collective to hold strong to our values and maintain our focus on the needs of our community. If we do have a surplus of funds from any contract or project we hold, we ensure that those funds are then tagged for the same purpose and spent to further grow that purpose. Click here for a one pager on Rākau Tautoko. Rākau Tautoko founder and lead practitioner, Tara Moala, has worked alongside communities for 20 years in various capacities and on diverse projects. She has complemented her Bachelor of Arts Degree with a Masters of Social Work Applied (1st class honors), her thesis focusing on Māori cultural identity based in an urban setting. She is well-networked across Tāmaki, the community in which she also lives and raises her whanau. Tara offers a kete of knowledge and skills required to facilitate social and community change. Her collaborative approach has motivated many community members and groups to take action and ownership of local initiatives. Tara creates opportunities for other organisations, practitioners and community members to co-design, participate in and take shared ownership of developing projects. As the lead practitioner, Tara oversees all other Rākau Tautoko practitioner work and manages any contracts Rākau Tautoko holds. We currently have eight Rākau Tautoko practitioners in our collective, we come together regularly and support each other in the work that we do. Here are our key practitioners currently active on projects. Just click on their names to download their curriculum vitae. Candace Weir has been working in the Tāmaki community since 2014 predominantly in the field of grassroots community-led waste minimisation education. Her work has branched out into other areas such as health promotion and social enterprise which she has led and worked alongside others to develop, deliver and sustain. Candace offers a range of skills including project management, media and communications and facilitation. With an arts background Candace is a creative thinker with an eye for detail! You can catch Candace around the Tāmaki community or in a nearby community garden. Raised in a single parent household, with the support of State benefits, Dickie counts his upbringing in Mangere South Auckland as his greatest qualification. After a “road to Damascus” moment at university, Dickie left his scholarship sponsored place in a conjoint degree to enter into youth work. Dickie’s youth work practice grew to include community development and community action with particular success in connecting marginalised voices to policy processes. Dickie’s ability to weave western and indigenous practice models has seen him work with Maori and Pasifika communities, support the learning needs of 300 young change makers across 98 countries, contribute to the development of aboriginal youth leadership in Australia, then eventually living in and working with indigenous rainforest communities in Borneo. Dickie is an expert public speaker, known for moving and inspiring others, with a particular skill for articulating vision and crafting and connecting pathways. Jo is a skilled Social Worker that has worked in the field for many years including working alongside young mums with a caseload and programme management at Te Waipuna Puawai. Jo is currently working part time for ACC managing a caseload for Specialist Rehabilitation Services through out Northland and Auckland. In her Community Development work, she has worked as a mentor in the Technical Training programme for young people, and facilitated Capability Workshops for the communities of Maungakiekie and Tāmaki. Jo has also co-developed with the community of Tāmaki a Live Lightly project to help build awareness around the impact on the earth and ways of educating people to shift their habits. The latest project Jo has been involved in, is the Early Years Hub Empathy interviews for Tāmaki Response – supporting the young families of Tāmaki to share their thoughts around what would be ideal for an Early Years Hub to be like. Nikki Korte has worked in the Tamaki community on a project called “The Whānau Awhina Project” helping parents of 0 to 5 year olds create parent-led initiatives for their children. 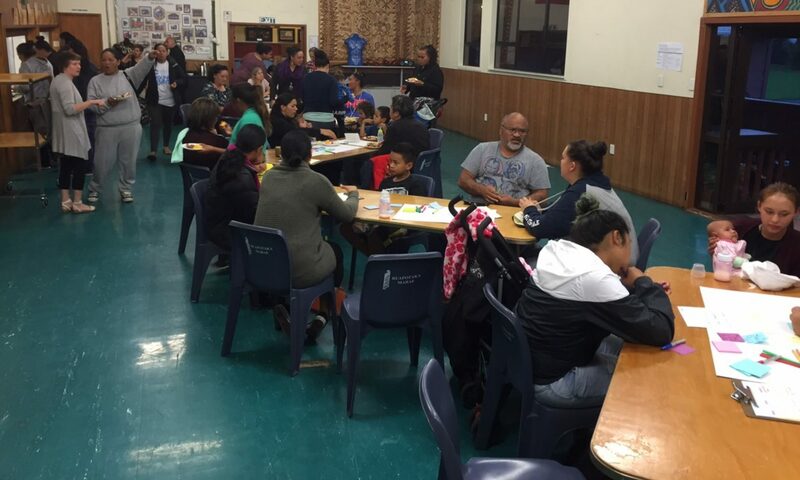 The project required collaboration with community organisations and parents to understand the needs of parents and used a co-design process to create events for parents and children in Tāmaki. Nikki has worked for Playcentre, a community based early childhood education programme. She has an accounting background. Our other practitioners that make up our Rākau Tautoko Whānau are: Julia Friedewald, Sonia Fonua and Tyrone Tangata-Makiri. Rākau Tautoko principles are based on Tāmaki Inclusive Engagement Strategy (TIES). The tools, framework and principles of TIES provides a community created, owned and driven strategy in how to engage and empower community members. Rākau Tautoko acknowledges that Te Reo Māori is an important taonga of Aotearoa. It is the indigenous language of this land and the gateway to the Māori world. We are by no means fluent, however we will endeavour to strive to use Te Reo as much as possible, especially where meanings are better understood in Te Reo. We also understand that not everyone has Te Reo knowledge and therefore we welcome anyone to contact us if we use any Māori that you don’t know or understand. Tara is the link to the collective of practitioners that work through Rākau Tautoko. Get in touch to talk about any possible initiatives you think we could help make great!